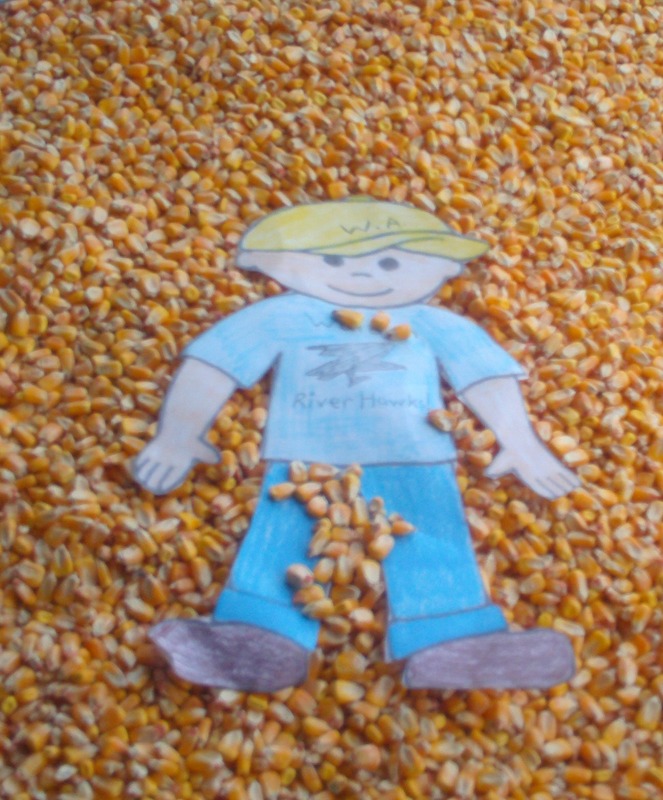 Flat Aggie Playing in the Corn! 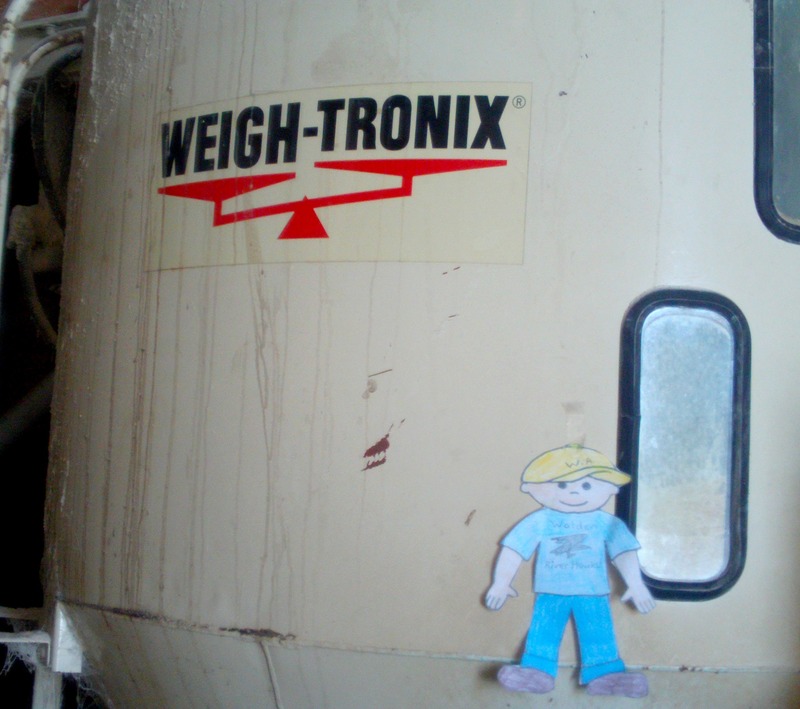 Flat Aggie arrived a few weeks ago to a very cold and snowy southern Minnesota town of Welcome (yes, that is a real name for a town!). He told me he was quite surprised by the weather because California isn’t as cold or snowy. Southern Minnesota is a rural area known for growing corn and soybeans and raising pigs. 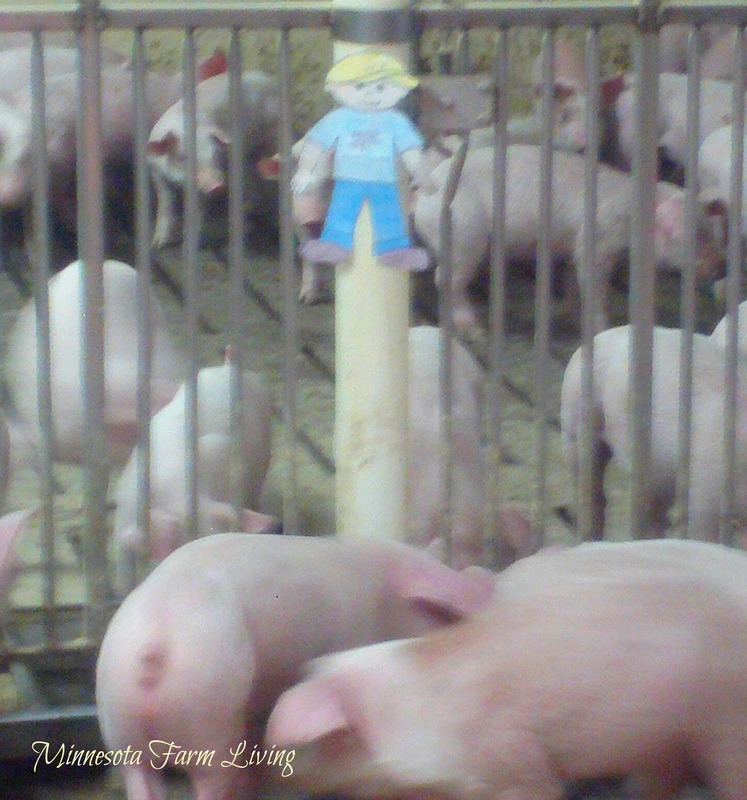 We happen to be the largest pig county in the state of Minnesota and we are #9 in the whole U.S. Flat told me he was very excited to learn about farming and pigs, so we got him started early! After moving into our spare bedroom, Mr. Aggie was ready to help. We were in the midst of putting corn in our truck and driving the corn to an ethanol plant, which is located about 6 miles from our home. Ethanol is put into gas and used as a renewable source of fuel. He loved riding in the truck! And he even got to play in the corn! The only problem we had was it was very cold, about zero degrees, and windy. But we still had to get the work done. 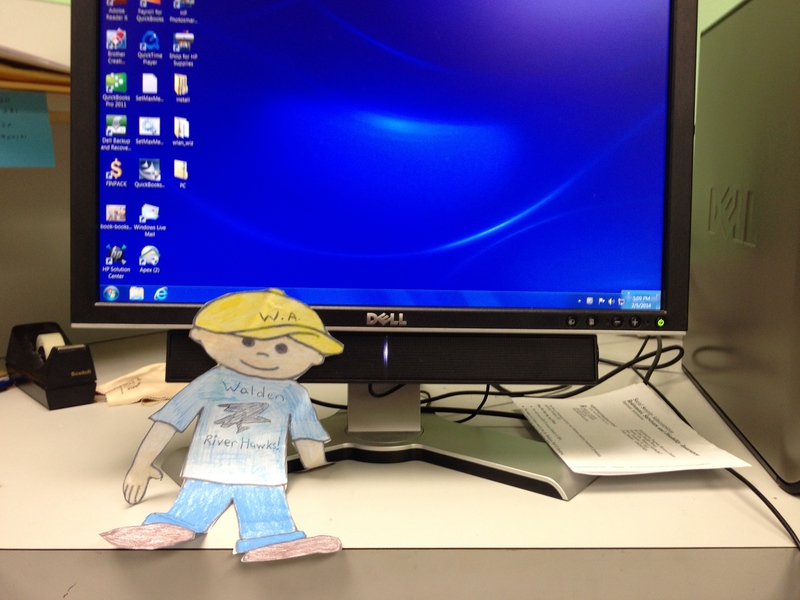 Another day, I needed to do some work in my office. Mr. Aggie told me he was really good at math, which is important when doing bookwork. And boy did he have great math skills! Your school must be a really great school! I was also surprised that he already knew how to use the computer. I was so grateful he could help me. Then it was time to go into the hog barns. 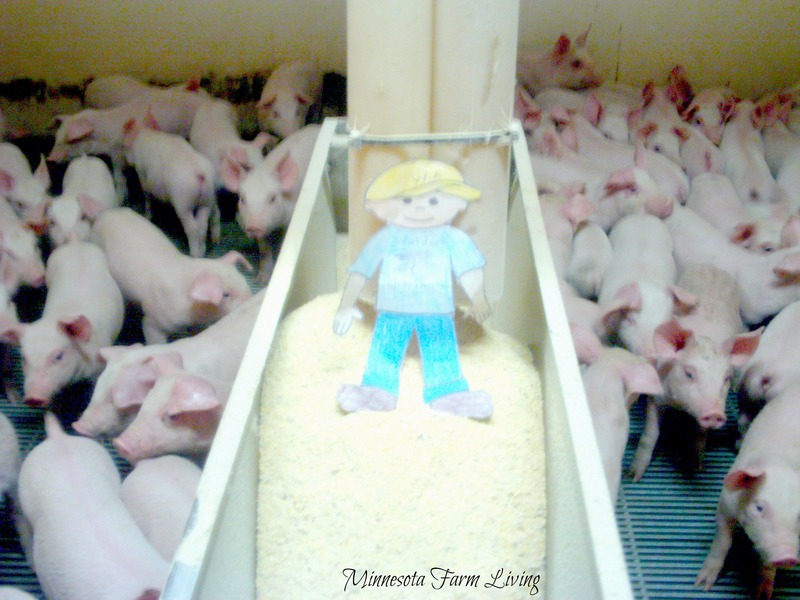 Our hogs live in barns because it is much too cold to live outdoors in Minnesota. Look at this video to see what a blizzard looks like on our farm. All the barns have heaters to keep the pigs warm. Our baby pigs arrived on our farm in the middle of January at the age 3 weeks. Look at this video to see how pigs are moved into the barns. We use rattle paddles, which just make noise. The noise keeps the pigs moving. We are very careful with our baby pigs. 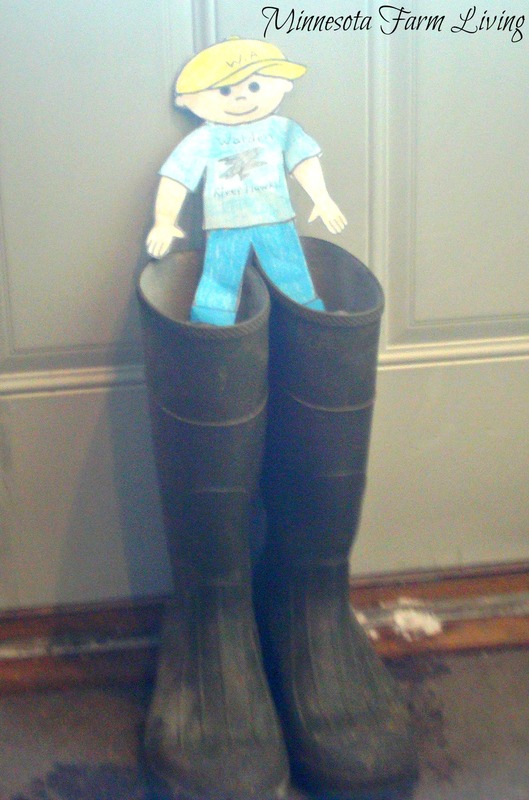 Unfortunately, Flat Aggie was not hear when we moved in the baby pigs. Some of them were put into nurseries where the temperature is warmer. 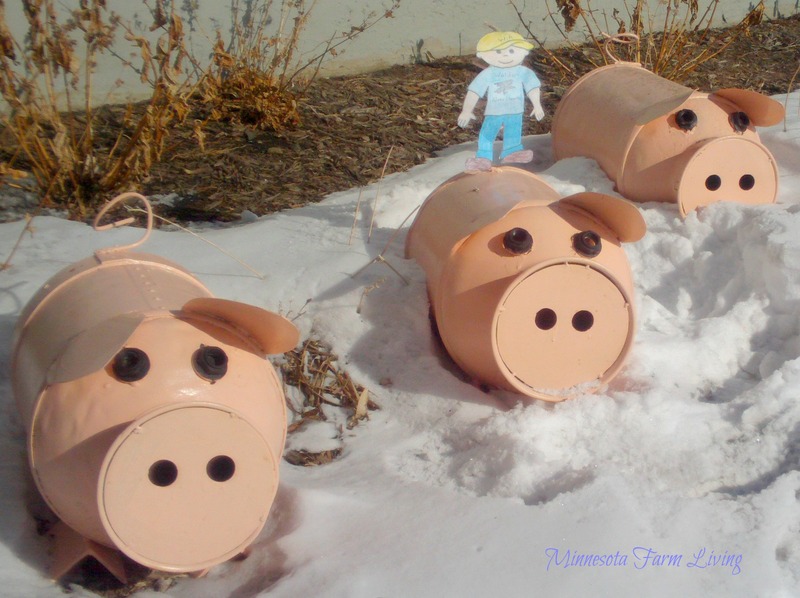 Little pigs love to be warm! The pigs in our nurseries will move to bigger areas once they are older. All the pigs will stay in our barns until June and then we will sell them to a meat packer called Hormel. In June, they will weigh about 270-280 pounds. When they came to our farm in January, they weighed about 10-12 pounds. They grow really fast! The pigs will be made into sausage, pepperoni, pork roasts, ham, pork chops and bacon (my favorite!). What is your favorite kind of pork? We also have to clean our barns when the pigs leave. Again, Flat was not here when we cleaned our barns but you can see what that looks like by viewing this video. Another advantage of having our pigs in barns is they don’t get sunburned in the summer and we can keep them cool by spraying a water mist on them during hot days. Did you know that pigs don’t sweat? Sweating is what allows our bodies to cool naturally so farmers help pigs stay cool in the summer by spraying water on them. Barns also allow pigs to have clean water, clean air, and clean food. Now you may be wondering about what pigs eat. We actually make their food for them right on our farm. 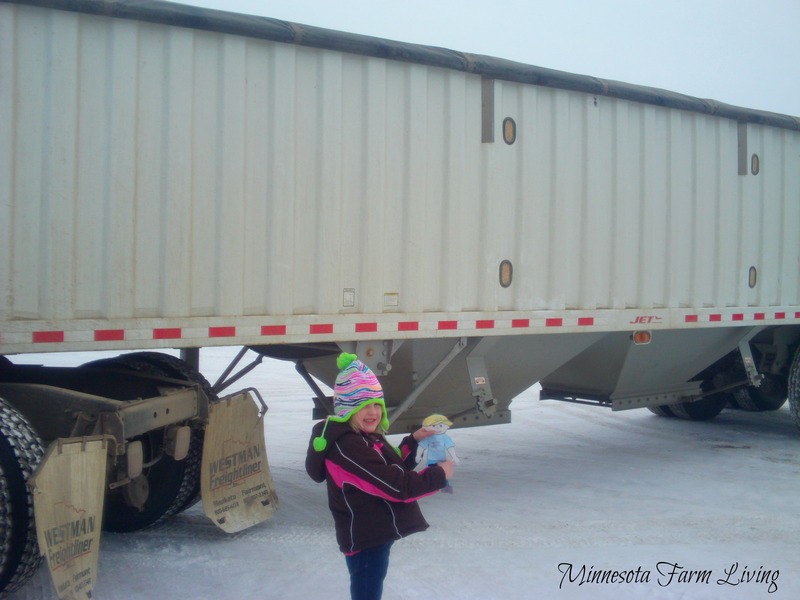 We take the corn we grow in our fields and mix it with other nutrients to make feed. We use a “grinder-mixer” to mix the feed together. Think of a mixer and bowl you use in your kitchen, but ours on the farm is MUCH bigger. We have experts who tell us what kind of nutrients we should add to the corn for their food. Unfortunately, pigs do get sick sometimes and we do need to give them medicine. They also are vaccinated to help keep them healthy. We work closely with veterinarians, or animal doctors, and try to do what we can to keep them healthy. We love raising pigs. We have been doing this for over 35 years. And we care very much for our pigs. We take care of them everyday, even when we are sick, when it’s cold, or when it is a holiday. Yes, we had to take care of them on Christmas and Christmas Eve. But we are okay with that because it is our job to take good care of them. 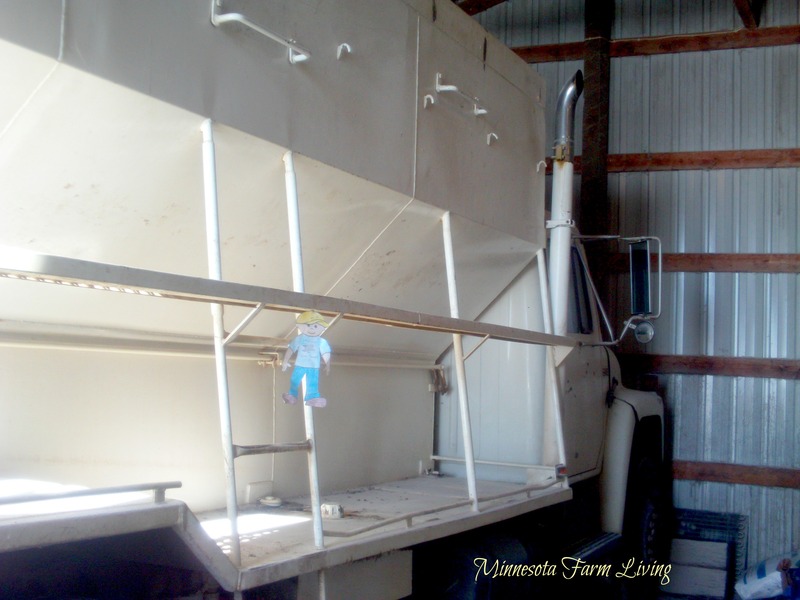 I am so glad Flat Aggie could join us on our farm. I hope you enjoy the pictures – he really liked his picture taken! And if you have any more questions for me, please be sure to ask. I would love to answer them! Oh, and by the way, Mr. Aggie was very kind and polite. He must have learned that from you and your school! Great report from Minnesota! It was very interesting to learn that Minnesota ranked so high in swine production. It sounds like you run a very nice operation there & looks as if it was hard to stop writing about everything that happens around the farm. Excellent write up & I know the kids will enjoy it very much. 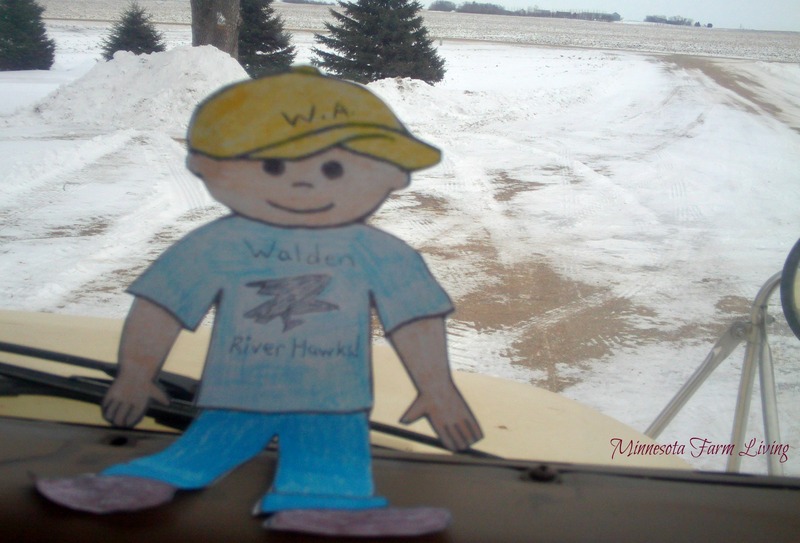 Thank you for hosting our Walden Flat Aggie. You are very welcome and if you have any more questions, please feel free to ask!! It was a lot of fun!